Eyelash tinting is the easiest and fastest way to achieve a fuller set of lashes, without ever having to wear eye makeup! Our semi permanent tints are 100% safe and dermatologist approved. Are you tired of applying mascara to darken your eyelashes on a daily basis? Eyelash tinting is the perfect solution for you. With Deja Vu Med Spa & Salon’s eyelash tinting treatments, we will get you the perfect eyelash to make your eyes pop bringing out your natural beauty. 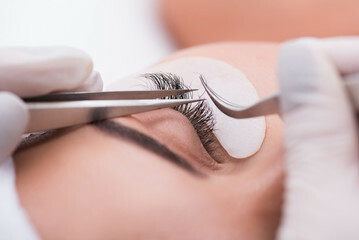 Eyelash tinting is a very cautious treatment as it involves chemicals that are used close to your eyes. This is not a home remedy by any means and you should always consult a professional for this type of service. At Deja Vu, safety of our clients is our first priority and we take all precautions when it comes to our services. Our specialists at Deja Vu will give you the proper treatment to darken your eyelashes for a natural beautiful look. Come into Deja Vu for all of your eyelash and beauty needs. We want to give you the beautiful natural look you desire. Book an appointment with one of our specialists to learn more about our eyelash tinting services and how we can take your look to the next level. Never wear mascara again with a beautiful longer set of lashes! Eyelash extensions are the newest trend in beauty and are guaranteed to make your eyes POP. See how Deja Vu can help you. Whether you want to enhance your eyelash length, thickness and fullness for a special event or your daily life, Deja Vu Med Spa & Salon offers only the best eyelash extension treatments. Take your look to the next level with temporary or semi-permanent eyelash extensions. Applying eyelash extensions yourself can be a difficult task to get the perfect look which is why you should turn to a professional at Deja Vu. To attach a full new set of lashes, the process can take from one to two hours. As the treatment comes close to your eyes it is vital that all safety precautions are taken and your safety is our first priority at Deja Vu. Eyelash extensions can give your face a naturally beautiful look you have always desired. By lengthening your eyelashes you will receive a look that is sure to make your eyes pop. Call one of our specialists at Deja Vu for your next eyelash extension appointment and take your look to the next level. For those who have straight eyelashes that are constantly using damaging eyelash curlers, try the cosmetic treatment Eyelash Perming which uses a simple solution to curl eyelashes upwards. Eyelash perming is a perfect solution for bigger and brighter eyes without using makeup. At Deja Vu Med Spa & Salon, we will give your eyelashes a look you desire from the time you wake up to when you hit the sheets. Our professionals offer only the best eyelash perming treatments around that are safe and effective. Your eyelashes will appear to be longer and thicker than when they are straight giving you a naturally beautiful look. It is your personal preference as to what look you want to achieve and our professionals will work with you to give you the look of your dreams. By creating better looking eyelashes your eyes will pop more than ever giving you an outstanding look all around. Working around your eyes can be harmful which is why you need to turn to the specialists for these types of treatments. We take every precaution before working with our clients as your safety is our first priority. Your skin and eyes are extremely delicate and require the most attention through the process. To book your next eyelash perming appointment, call a specialist at Deja Vu Med Spa & Salon. We offer a range of services throughout our full service spa and salon for all of your beauty needs. Let us add vitality and energy to your appearance and give you the look you have always desired. Take your look to the next level with Latisse, an eyelash extending product to grow your lashes longer, darker and fuller. Deja Vu Med Spa & Salon is proud to partner with Latisse as we have seen first hand results with our clients who have given their lashes a more naturally beautiful look. 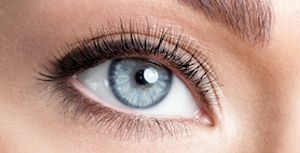 LATISSE® is a prescription treatment that is designed for inadequate or not enough lashes, also known as hypotrichosis. LATISSE® has been proven to grow your lashes longer for a beautiful natural look, darker to make your eyes pop and fuller so you can throw away the mascara. 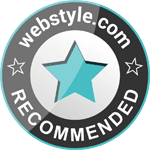 With Deja Vu professionals you won’t be left in the dark without knowing the best process of application along with all the do’s and dont’s. It is our priority at Deja Vu to give you the look you always desired by providing our clients with only the best products which have proven effective. To learn more about LATISSE® and how you can benefit from it, give our specialists at Deja Vu a call. With a full service spa and salon we have many different solutions for you and will find you the perfect fit. Book your next appointment with Deja Vu for all your beauty needs.